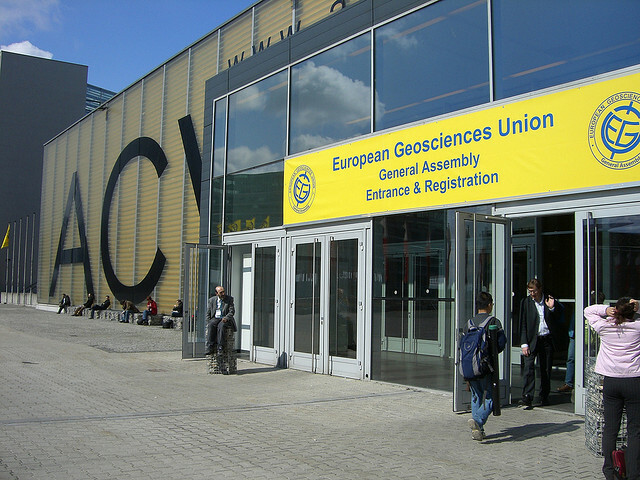 Attending the European Geosciences Union Assembly this year? If you’re a first-time visitor to the event, which attracts over 12,000 delegates, then check out the GeoLog’s guide on what to expect. If you are attending then why not join us in our Thursday morning session on operational forecasting and warning systems for natural hazards. 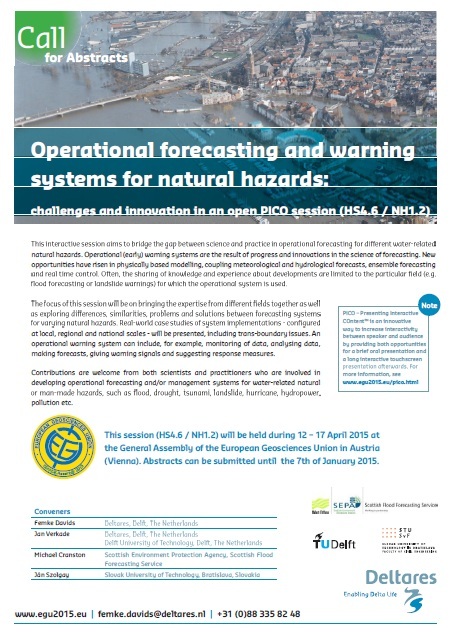 This interactive PICO (Presenting Interactive COntent) session aims to bridge the gap between science and practice in operational forecasting for different water-related natural hazards and has been organised jointly with Deltares, Delft University of Technology and the Slovak University of Technology. The focus of the session will be on bringing the expertise from different fields together as well as exploring differences, similarities, problems and solutions between forecasting systems for varying natural hazards. Real-world case studies of system implementations – configured at local, regional and national scales – will be presented. There are 25 presentations and all the abstracts can be viewed here – we’re at PICO Spot 2 from 8:30. The General Assembly of the European Geosciences Union held at the Austria Centre Vienna between the 12th and 17th April 2015. There are plenty of other sessions of interest as well. On Tuesday morning why not take in Flash floods, hydro-geomorphic response, forecasting and risk management; Tuesday afternoon there is Hydrological forecasting: Untangling and reducing predictive uncertainty through improved model process description, data assimilation and post-processing – also PICO; and on Wednesday morning Ensemble hydro-meteorological forecasting. This entry was posted in Conference, EGU, Forecasting, Natural Hazards. Bookmark the permalink.